The health worker gets Rs 150 for each woman, while the surgeon gets Rs 75 and the anaesthetist Rs 25 per operation. Just days before the sterilisation camp in Bilaspur, Nem Bai had given birth to a child. Her family did not want her to opt for a tubectomy, but succumbed to the pressure of a local health worker. Chandakali, who worked as a labourer with her husband in Pune, was visiting her family here. They were reluctant to allow her to go for the operation, but later agreed. The two women are among the 12 who have died so far, following an operation they never wanted. Over 50 others, including many who were medically unfit for the operation, are in hospital. At least 21 women who are critical have been referred to the Apollo Hospital. Among these are Laxmi Sahu, who was suffering from anaemia, and Manorama, a diabetes patient. Doctors said they should not have been operated upon. 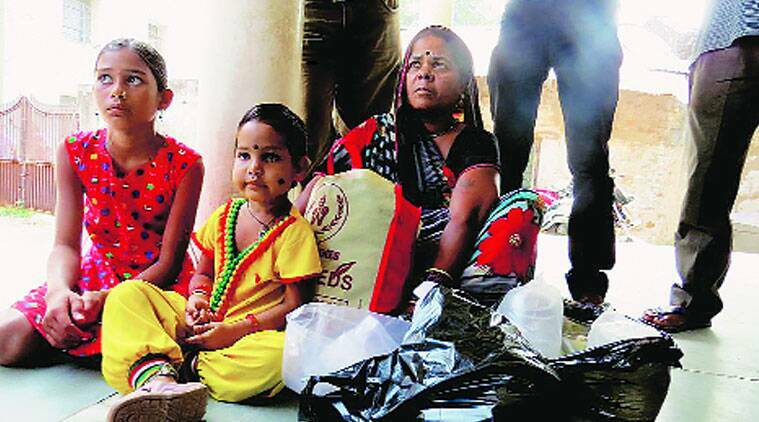 On Tuesday, Chandakali’s minor daughters, Satyavati and Saraswati, were waiting for their mother’s body outside the crowded mortuary of the Chhattisgarh Institute of Medical Sciences. Her husband, Tirath Ram, is on his way home from Pune. While Chhattisgarh Health Minister Amar Agarwal has denied that the women were lured or pressured, almost all the relatives of the women The Indian Express spoke to claimed they were “forced” by the local health workers to attend the camp. The incentive offered was Rs 600 for each tubectomy. The health worker gets Rs 150 for each woman, while the surgeon gets Rs 75 and the anaesthetist Rs 25 per operation. If there is no anaesthetist, the surgeon pockets the entire amount. “She was taken without our permission. We told them repeatedly that she has just given birth, but they did not listen. Bole kuch nahi hoga, chhota sa operation hai. Bhed bakriyon ki tarah dhakelte hue le aaye unhen (They said nothing would happen, it was a minor operation. They herded them like cattle and took them),” said Mahesh Suryavanshi, brother-in-law of Nem Bai. The family lives in Bharari village of Bilaspur. “She was unwell when they took her, and her condition had worsened when she returrned,” he claimed. Many of the women were medically unfit and did not want to opt for the procedure. Some were diabetic, some had severe asthma, and there were some with heart problems. 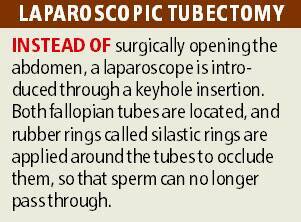 Under the central government’s guidelines, a woman must be thoroughly examined before such an operation. She must undergo various tests including that of urine, blood, sugar and heart. But the Bilaspur health department confirmed that none of the 83 women who were operated upon on Saturday were examined. The guidelines also state that a woman must be kept under observation for at least four hours after such operations, and health workers should visit every woman within 40 hours of the procedure. “They discharged them immediately. Even if they had visited these women after the operation, the tragedy could have been averted. The patients came on their own only after their relatives realised that they had become serious,” said a senior doctor with CIMS. Doctors said many of the patients were suffering from septicemia. “Almost all the women who underwent the operation became serious,” they said.